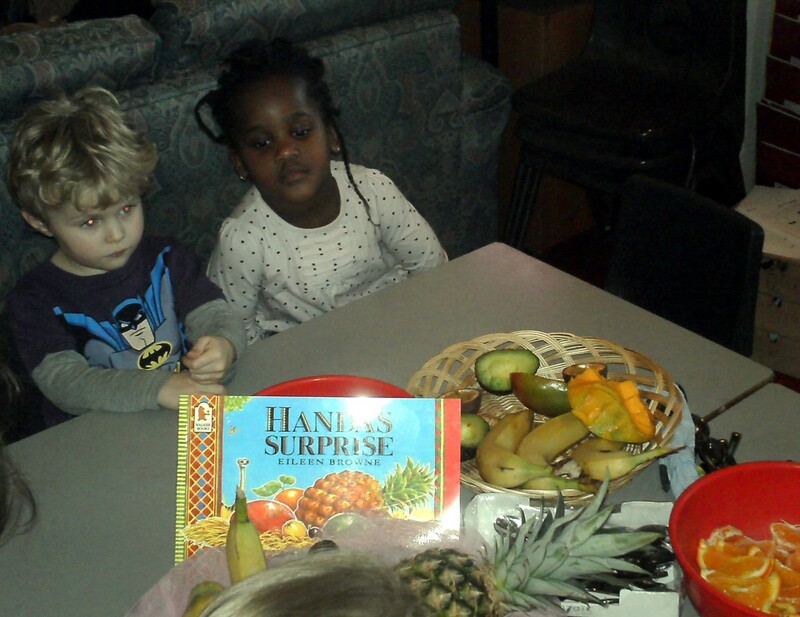 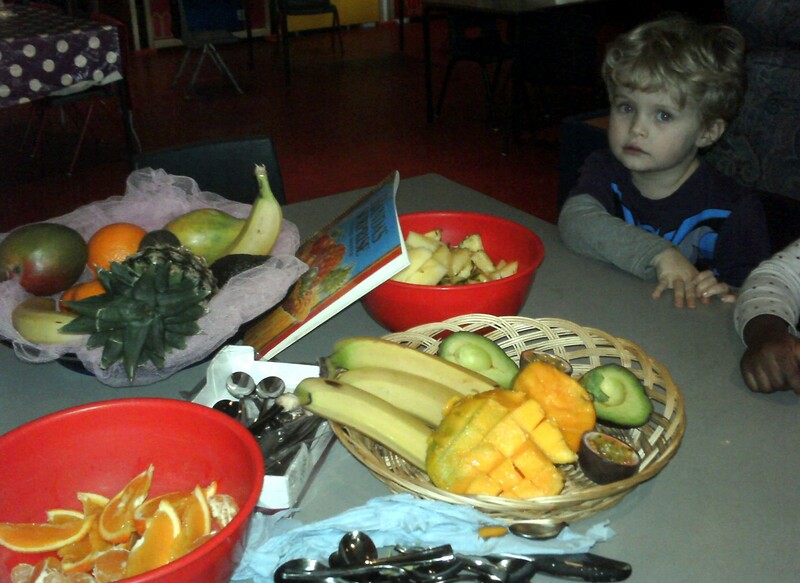 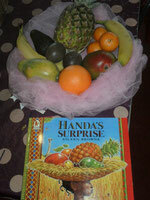 A popular book amongst pre-schoolers, Handa’s Surprise was perfect to plan a session around. 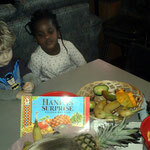 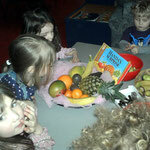 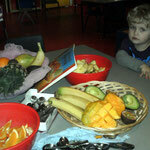 After reading the story we presented the children with all the different fruits in Handa’s basket. 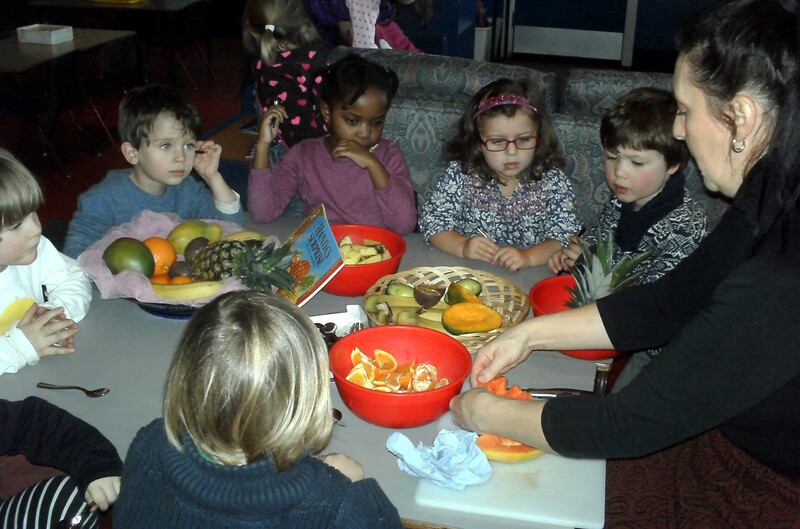 They were then invited to touch, feel and taste each fruit as well as encouraged to talk about their favourite or not so favourite ones. 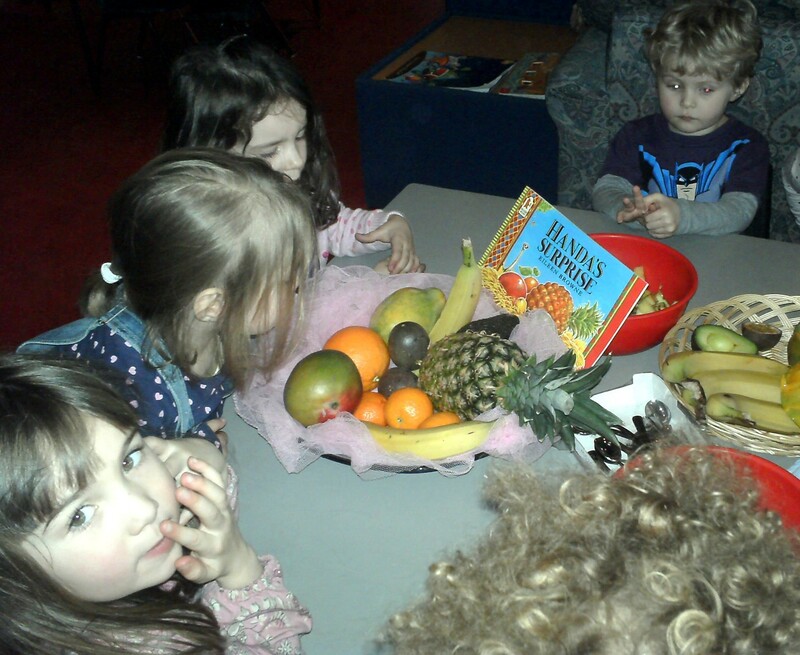 Though our focus was on the ‘T’ sound for taste, we were also able to talk about other topics explored by the book such as animals, culture, and food. 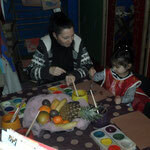 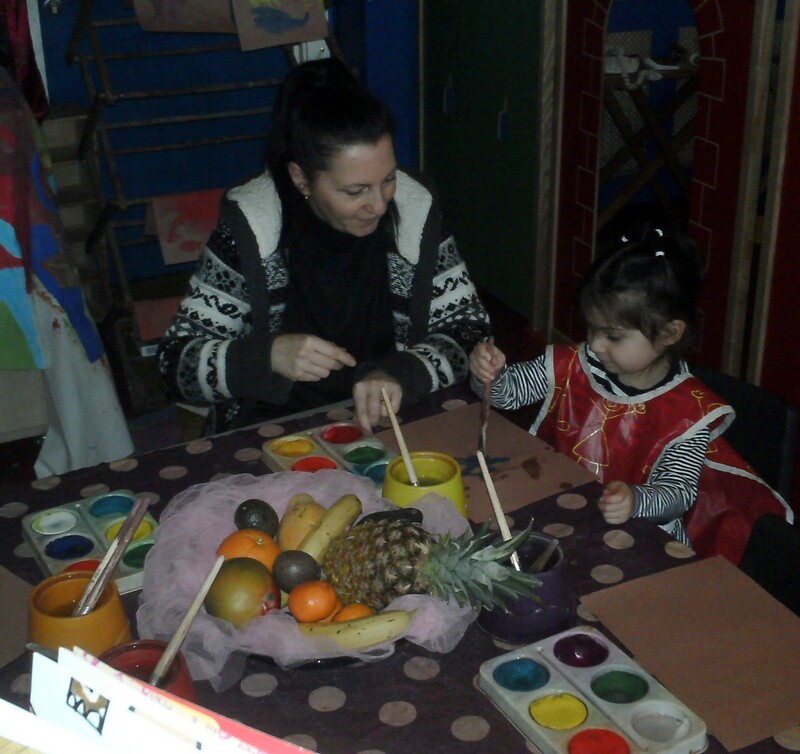 The children were asked to paint some of the fruits in the basket, with particular attention on colour and shape. 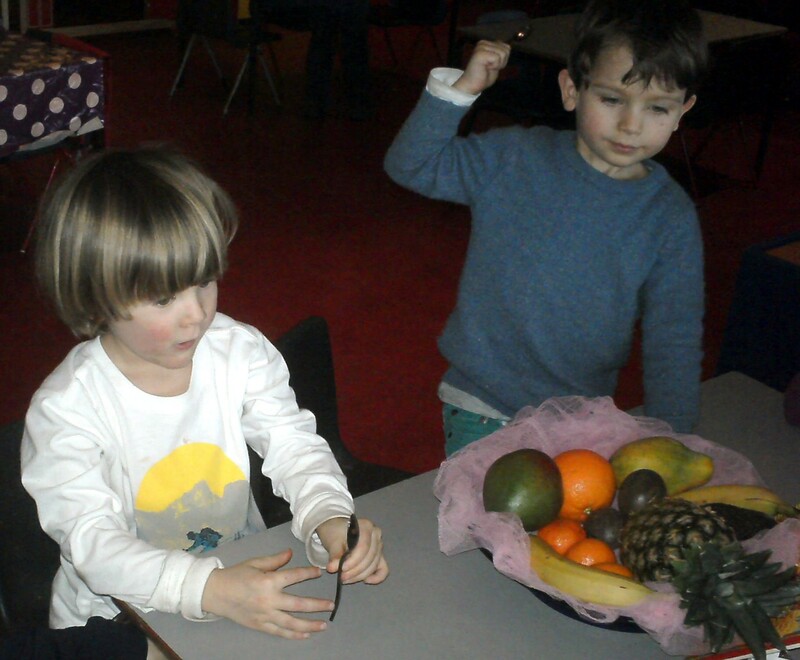 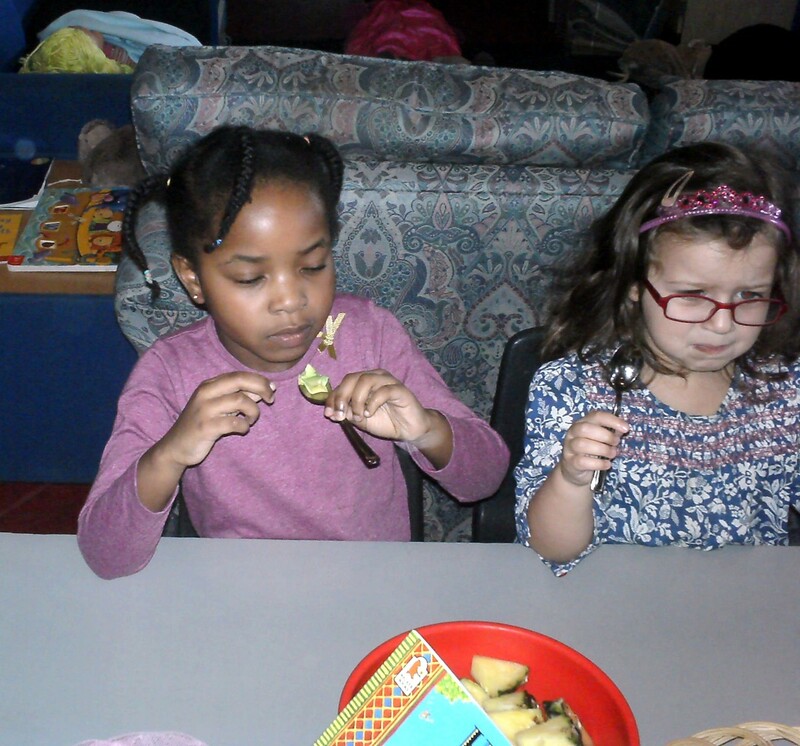 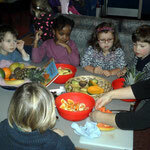 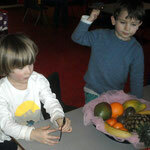 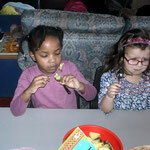 This was also great fun as some of the children began to literally ‘paint the fruit’.